Freelance writer trying to defy the Millennial stereotype through hard work. Joy is in the little things. Do Rabbits Make Good House Pets? 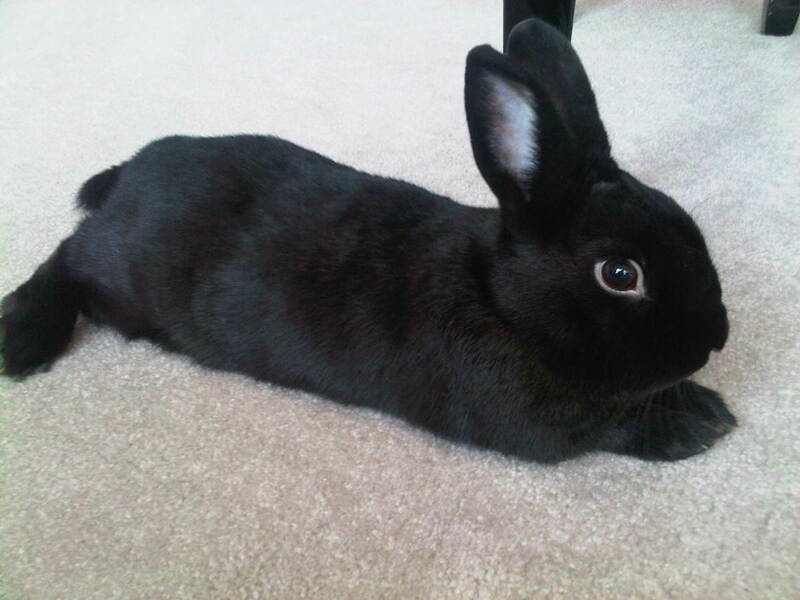 As any rabbit owner will tell you, bunnies are just as cuddly, playful, and smart as your average dog or cat. However, they are more high-maintenance and require consistent, daily care. In addition, different breeds come with different physical characteristics, personality traits, and care needs. For instance, some rabbit breeds love to cuddle, while some tend to hop away when you try to handle them. Potential owners should consider each breed carefully to ensure a good match. Owners should also consider each breed's susceptibility to health problems. Some breeds, like the Netherland Dwarf, have a high risk of developing malocclusion (the misalignment of the top and bottom rows of teeth when the jaw closes). Other breeds just have the standard rabbit health issues, including overgrown teeth (their teeth never stop growing, so they need to constantly chew things), susceptibility to fly strike (when flies lay eggs in matted/dirty fur—especially in unsanitary housing conditions), and ear mites. As long as you give them proper care and attention, rabbits make great, affectionate pets. Needs space to roam and sheds a lot in the summer. Needs exercise and sheds a lot in the summer. Feeding should be monitored closely to prevent overeating and needs exercise. Very active and tends to chew things more than other breeds. Needs exercise and sheds heavily in the spring. Playful, curious, and loves toys. Calm, docile, and enjoys being held and pet. 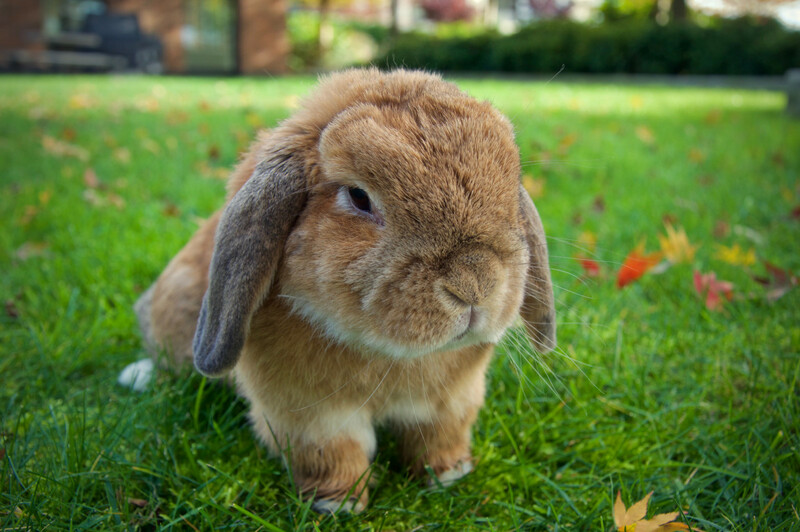 Different rabbit breeds have different needs, sizes, appearances, personalities, health concerns, and life spans. Make sure you choose one that will fit your home and that you can care for properly. Appearance: Long, erect ears and short necks. Short, smooth fur that is extremely dense and can be a variety of colors. Rexes generally have rounded backs with well-developed shoulders. Personality: Usually very calm and quiet but may squirm if held too tightly. Ease of Care: Needs less grooming than most breeds due to their shorter fur. Compatibility With Children: Usually calm and friendly with children but can squirm when held. Health Concerns: Nothing beyond standard rabbit concerns. Mini Rexes originated in France in the late 1800s. A recessive gene makes the Rex's hair stick out from their bodies instead of lying flat, and their outer layer of fur is shorter than that of most breeds. This means that you can feel their exceptionally soft, velvety undercoat. As the name implies, they are fairly small in size (they weigh between 3.5 and 4.5 lbs fully grown) and are incredibly friendly. There is little reason to question why they are one of the most popular rabbit breeds in America. Appearance: Large, floppy ears with medium-length fur in broken or solid coloring. Personality: Very energetic, active, and friendly but will resist being picked up and held. Ease of Care: Sheds heavily in the summer months, so needs more brushing during that time. Should be let out to roam fairly often. Compatibility With Children: Incredibly friendly with children but will squirm when they don’t want to be held. Health Concerns: Minimal—nothing beyond standard rabbit health concerns/care. 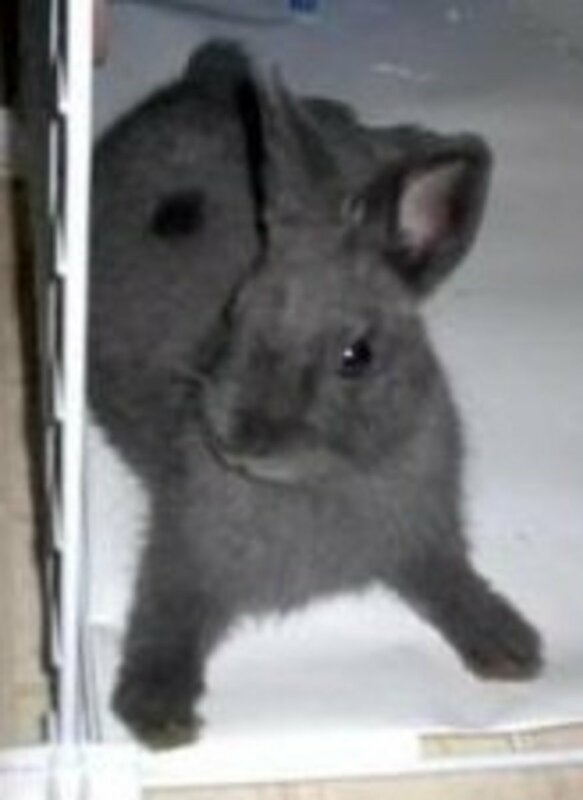 Holland Lops are popular show rabbits. The breed originated in the Netherlands and was officially recognized by the American Rabbit Breeders Association in 1979. 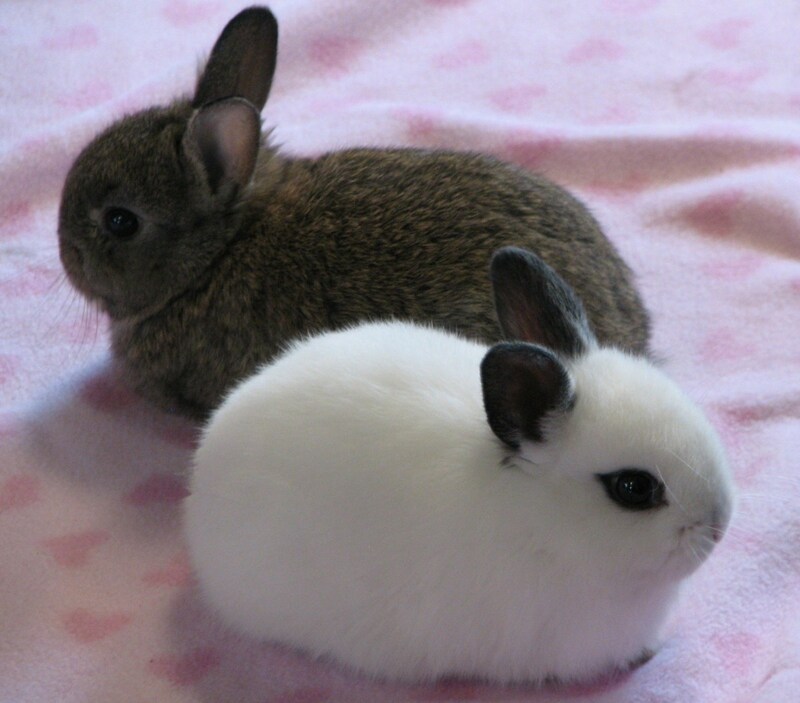 They are a dwarf breed, meaning they are on the small side for rabbits. 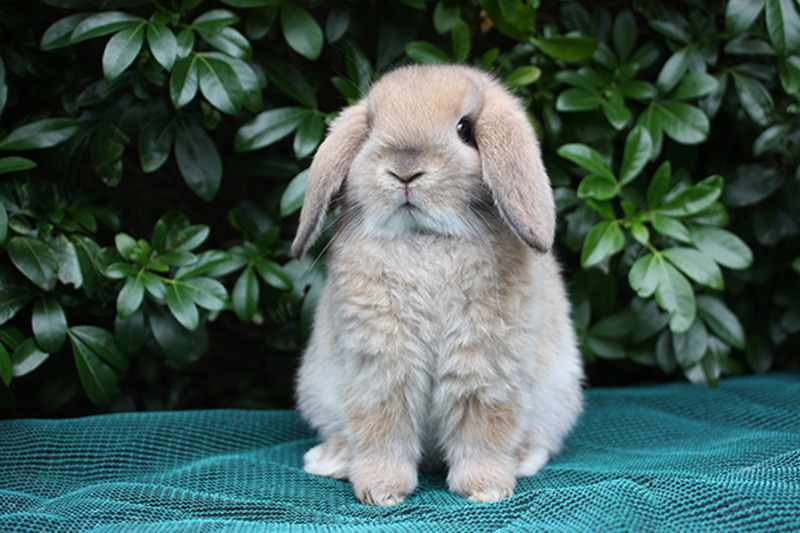 The standard Holland Lop weighs between 2 and 4 lbs. They can have either broken or solid coloring in a wide variety of colors. Holland Lops are excitable by nature, so they are fun to play with but can also be a little difficult to get in and out of their cages. They probably aren't the best breed for families with children. While they can get along well with children, they will struggle if they don't feel like being held, so be sure to supervise any playtime with the rabbit. Appearance: Very distinctive black and white coloring. They have dark ears and bottoms and white shoulders, belly, front legs—plus, a wedge of white fur up the front of their face. Personality: Calm and gentle but will easily get depressed if left cooped up too long. Very sociable. Ease of Care: Sheds heavily in summer months. Needs to be able to run often. Compatibility With Children: Very calm and friendly with children. Health Concerns: No notable health concerns beyond regular rabbit care. Dutch rabbits (a bit of a misnomer, since they were originally bred in England) are well-known for their unique color pattern. They are a bit larger than dwarf breeds, but still on the smaller side overall, averaging 3.5 to 5.5 lbs. They are a calm and easygoing breed, making them exceptional pets—especially for those with children. They can put up with the chaos of being frequently pet and held. Appearance: Very small breed with small, upright ears. Very distinctive all-white coat with dark spots around the eyes. Personality: Friendly, and therefore needs frequent human interaction. Very amenable to being handled frequently. Ease of Care: Does fine in smaller cages than most breeds due to their small size. Food volume needs to be monitored so that they don't overeat. Compatibility With Children: Bond well to their owners, making them very good pets for children. Due to how active they are, they do better with older children who know how to properly handle rabbits and let them down when they need to run. Health Concerns: Higher-than-usual risk for malocclusion. 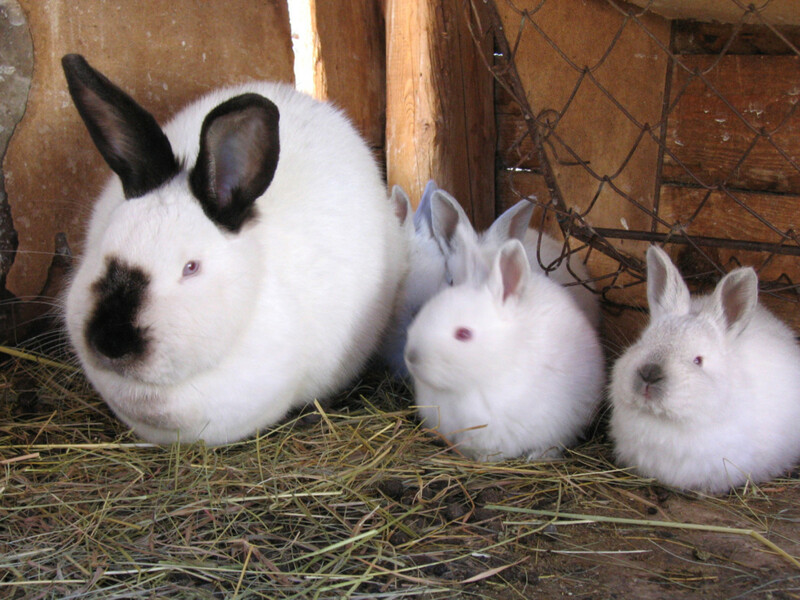 Much like Dutch rabbits, Dwarf Hotots are known mostly for their unique coloring. They have entirely white coats, except for one small circle of color around their eyes. For years, the only Hotots that were allowed in shows were those with black spots, but recently, those with chocolate spots have also been given the OK to compete by the ARBA. They were not originally a dwarf breed. 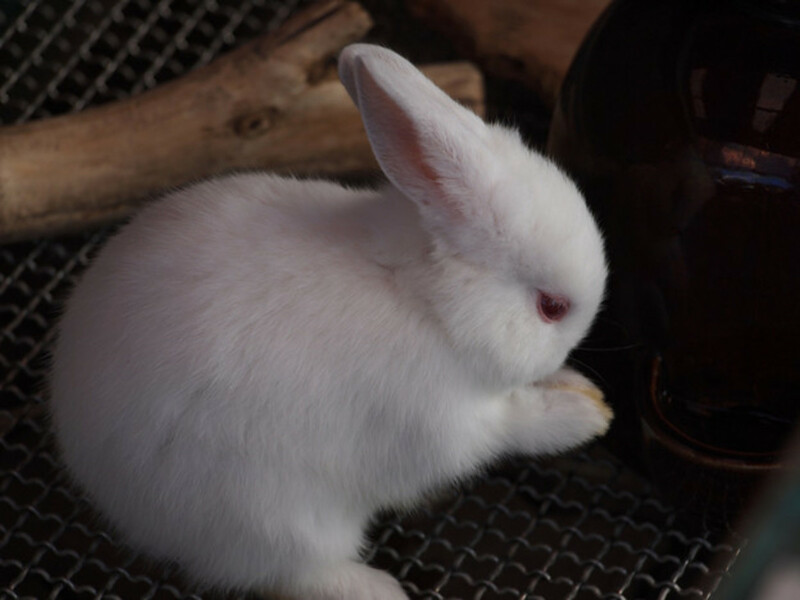 The larger Blanc de Hotot was bred in the early 1900s to be a black-eyed, white-haired rabbit that could be used for fur and meat. As both rabbit meat and fur went out of style, and more people began keeping these critters as pets, dwarf breeds became increasingly popular, and the Dwarf Hotot breed was created. Hotots have upright ears and tend to be under 3 lbs in weight. They tend to be outgoing, though can occasionally be moody. 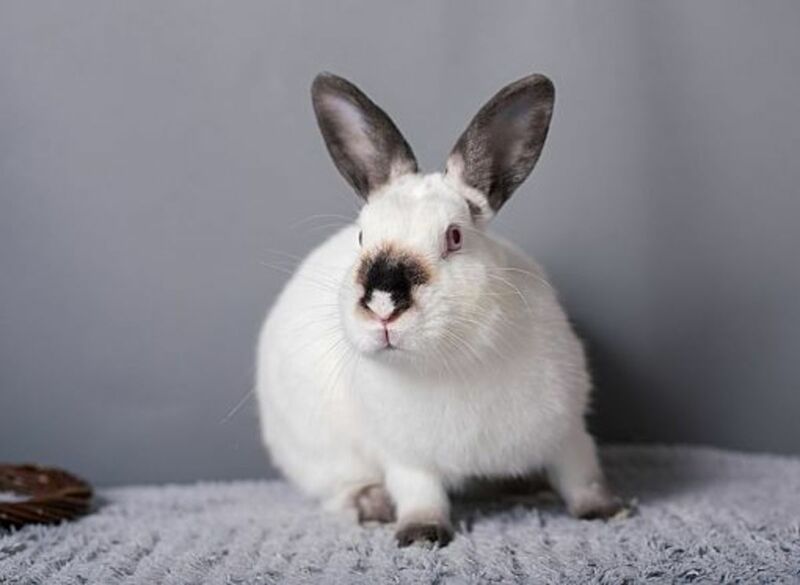 They are a great breed for anyone who wants a rabbit that will enjoy cuddles and being pet often, as long as you can wait out the short moody periods. Appearance: Very round body with long, thick ears and a large head. Solid or broken patterned fur in a wide variety of colors. Personality: Greatly enjoy cuddling and human interaction, including being pet and held. Ease of Care: Needs to be able to run out of their enclosures. More likely to chew random objects than other breeds. Compatibility With Children: Incredibly sweet and easygoing, making them ideal pets for children. Health Concerns: No notable health concerns other than those common to all rabbits. 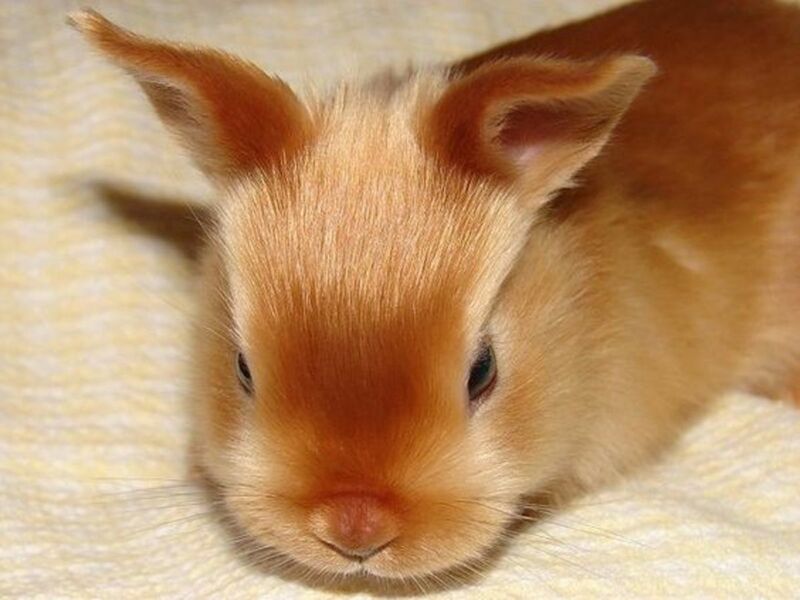 Perhaps one of the most popular breeds in the world, Mini Lops are frequently sold or bred as pets and show rabbits. 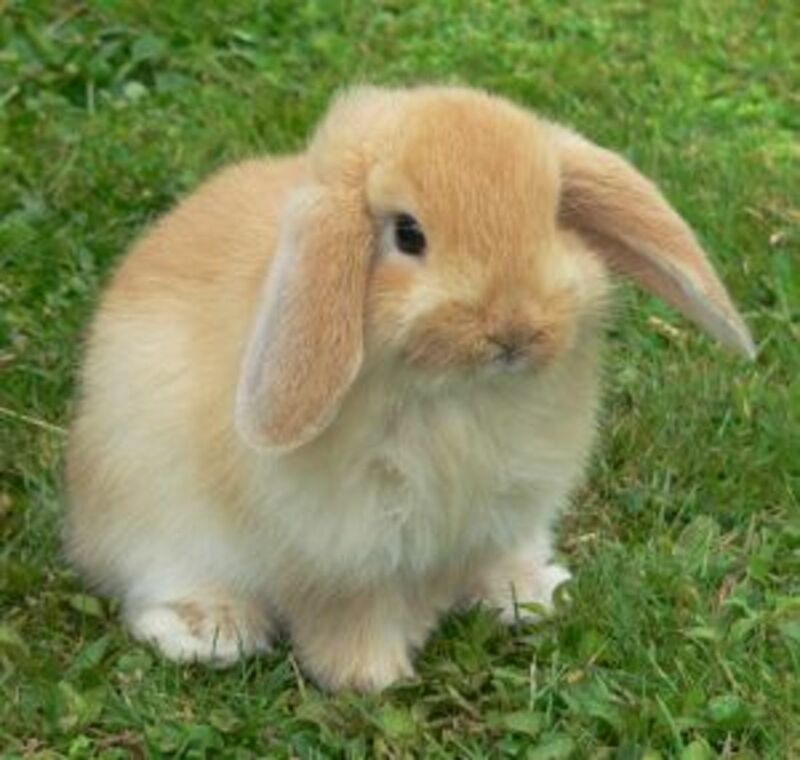 Similar to Holland Lops, they are small with floppy ears. They are extremely cheerful and playful, and are easily trained. 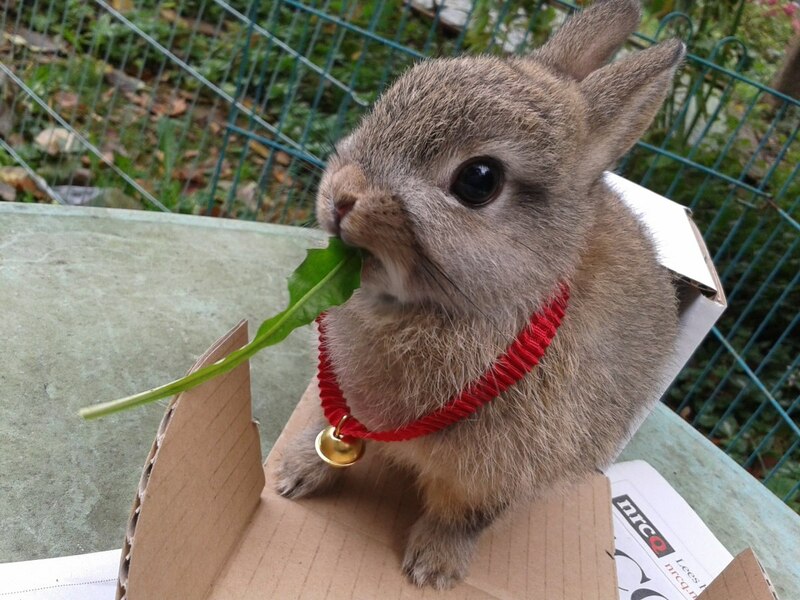 Mini Lops are great for anyone looking to have a litter-trained bunny. They are very sociable with other rabbits and animals, but they do prefer calm children. This breed needs intellectual stimulation, so be sure to put plenty of toys in their cage. Appearance: Exceptionally shiny coat in a variety of patterns and colors. Short, well-rounded body with a round, full head. Personality: Calm and gentle but can be skittish around unknown humans. Ease of Care: Doesn't need as much space as most breeds, making it ideal for apartments or small homes. Not as active as many breeds. Compatibility With Children: Due to their skittish nature, they aren't ideal pets for children. However, with time, they can become accustomed to children. Health Concerns: No known health issues other than general rabbit health concerns. 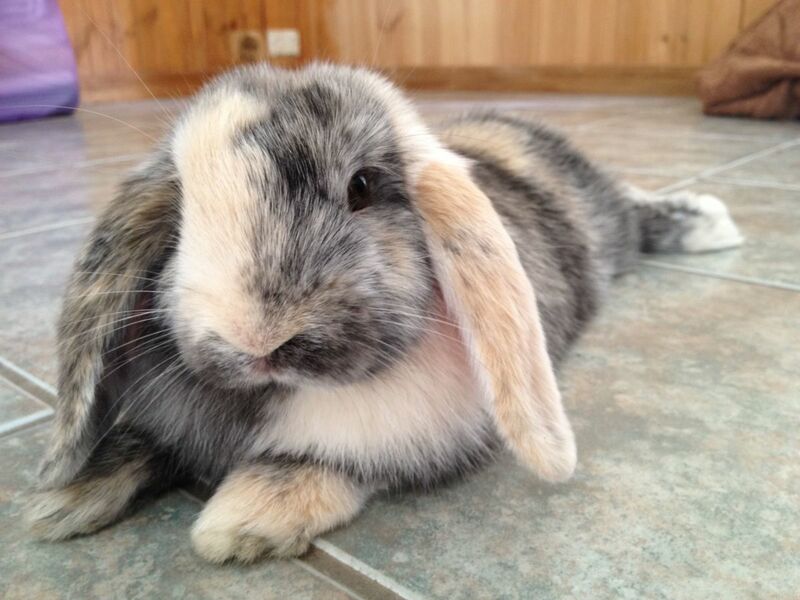 One of the smaller breeds of pet rabbits, Mini Satins also have extremely soft and lustrous fur. Larger satin breeds became very popular when the satin gene was first recognized in 1956. From there, breeders went on to try to make a smaller version of these rabbits. Mini Satins are usually calm and friendly. However, they can occasionally be temperamental, so be sure to ask the breeder about your particular rabbit before committing to a Mini Satin if you have a hectic house. Appearance: Extremely small rabbits with short, small ears. Personality or temperament: Shy and skittish but generally friendly. Ease of care: Needs open space and regular exercise. Compatibility with children: Not the best pets for children due to their shy and skittish nature. Health concerns: Highly susceptible to malocclusion. Unlike many of the breeds on this list, Netherland Dwarf rabbits are not the best pet breed homes with children. They are, however, great pets for adults and make good companions for adults with disabilities. They enjoy human interaction but only in an environment where they feel safe and stable. Extremely small (usually between 1.1 and 2.5 lbs), these rabbits are better suited to a stable and quiet environment better than one with children running around. Despite their small size, these rabbits need a lot of exercise and do better in homes where they're free to run a good chunk of the day. They are skittish and aloof, which, again, is why they are not well-suited as children's pets. Appearance: Short, soft, flyback fur in six distinctive colorings: ruby-eyed white, blue-eyed white, black, blue, chocolate, and broken pattern. Personality: Cuddly, calm, and affectionate. Ease of Care: Is fine with a smaller enclosure due to its small size. Should stay indoors. Compatibility With Children: Affectionate with children and overall great companions. However, their small size makes them easy to drop, so exercise caution. Health concerns: No health issues beyond common rabbit concerns. Yet another dwarf breed, Polish rabbits are a small breed of rabbit whose size does indeed mean they need less space. They tend to be less active than other breeds, meaning they're ideal for those who want a rabbit but can't designate a lot of space for a pen. They are calm and friendly, and bucks tend to be especially laid back. They can also be trained to use a litter box—always a nice trait for an indoor pet rabbit. Appearance: Distinctive flyaway coat, with particularly long and unruly fur around their head and rear. Personality: Energetic, affectionate, and loves to play. Love to be picked up and handled. Ease of Care: Needs a lot of grooming and fur care because the fur can easily get matted or tangled. Compatibility With Children: Excellent pets for children because they are very amenable to being picked up and carried. Health Concerns: Nothing beyond general rabbit health issues. This breed got its start in Belgium, with breeders mixing a Swiss Fox with a Netherland Dwarf. 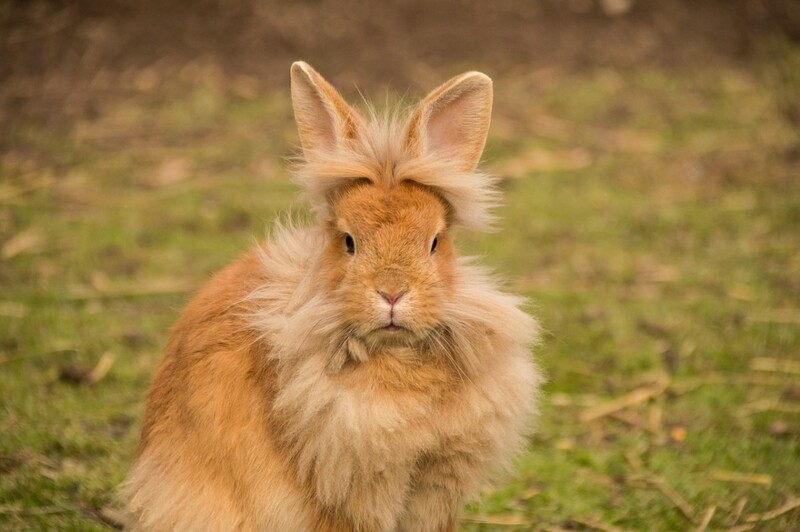 A genetic mutation resulted in the Lionhead, a rabbit with longer fur around its head and rear, which later became known as the "mane" gene. Eventually the breed made its way into the United States in the '90s, and was officially accepted into the American Rabbit Breeders Association in 2014. An energetic and affectionate breed, Lionheads are great pets, especially for families with children. However, they do need more grooming and care than some other breeds. Appearance: Small, short ears and very small bodies. Their heads are distinctly square and bold, giving them a unique look. Fur is long and wooly. Personality: Gentle and docile. Very rarely kick or bite. Ease of Care: Need frequent and attentive grooming. Doesn't need a lot of space due to their small size. Compatibility With Children: Incredibly good with children due to their docile nature. Health Concerns: Slightly higher-than-normal risk of wool block due to their long, wooly coats. 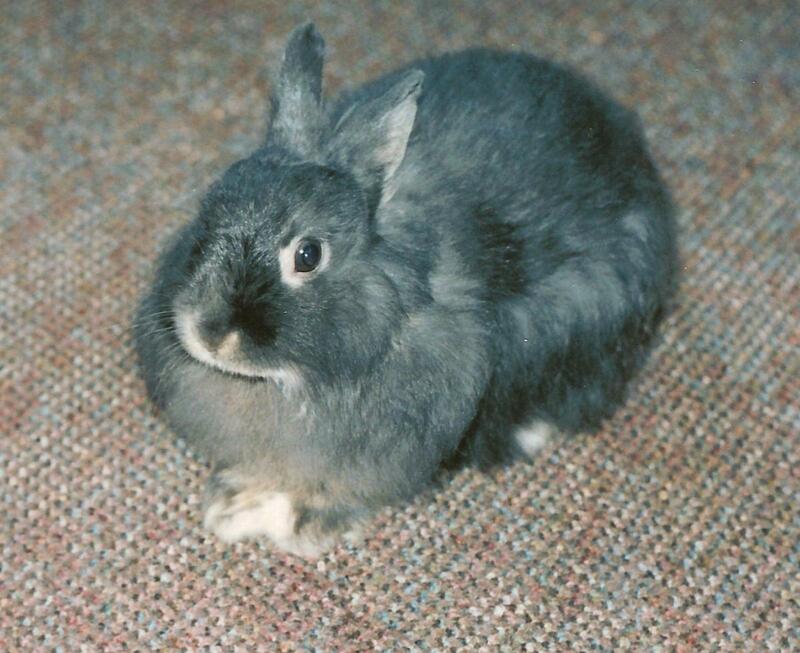 A cross between the French Angora and the Netherland Dwarf resulted in the Jersey Wooly—a small rabbit with a very wooly coat—hence the name. First brought to the ARBA in 1984, this breed is now one of the most widely exhibited rabbits at shows in the United States. Extremely small and loving, they make great pets, even if they do require a little extra grooming. Appearance: Muscular body with full shoulders and hindquarters. Dense, coarse coat. Personality: Mild-tempered and a bit shy. Love to cuddle when they've been properly socialized with a human. Ease of Care: Needs a lot of time outside of its enclosure. Sheds heavily in the spring. Compatibility With Children: Not ideal for young children due to their shy nature, but they will tolerate being held and petted if they are properly socialized. When George West set out to breed the Californian rabbit, his goal was to create a rabbit with the “perfect” meat as well as a dense, desirable coat. 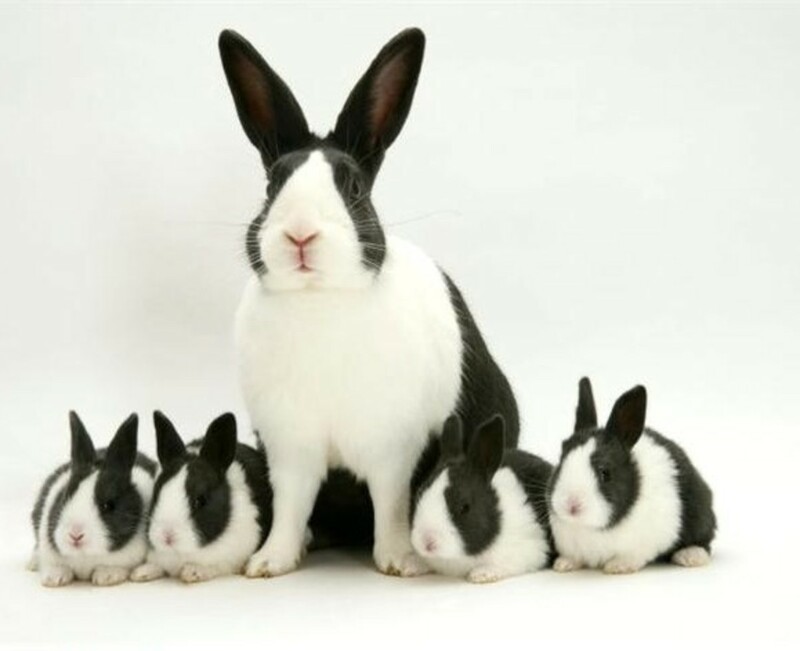 After several years of breeding and a few different cross-breedings, the Californian rabbit was born. 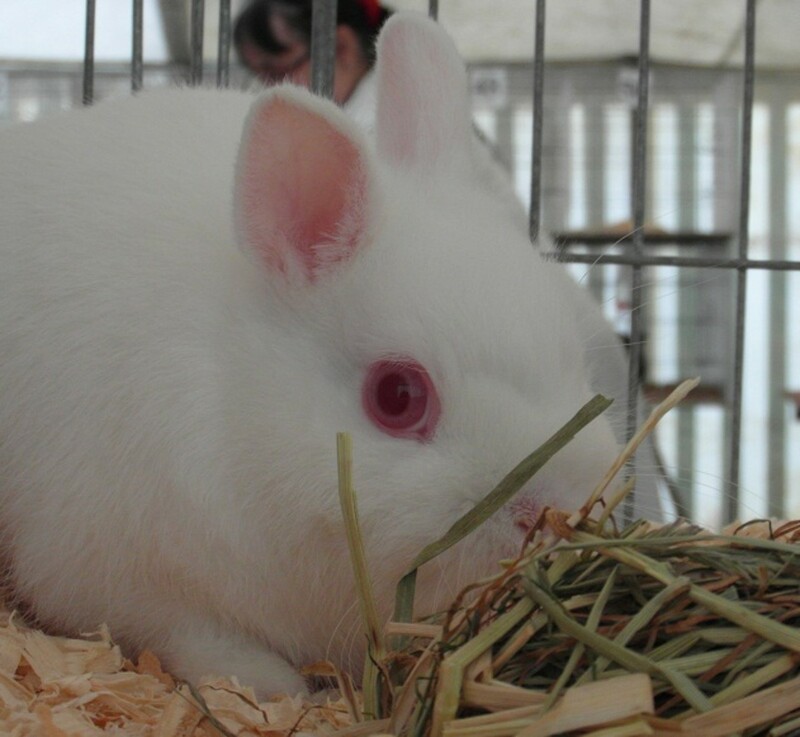 While these rabbits are primarily used for meat or show, many decide to keep them as pets due to their gentle nature. Appearance: Mid-sized breed with broad heads and very distinctive coats. Body markings are generally either bands, bars, or a combination of the two, and can encompass a wide variety of colors. Personality: Playful and curious breed that needs to be able to exercise. Ease of Care: Needs exercise, space to run, as well as some toys. Compatibility With Children: Very compatible—love to play and socialize. Originally known as the Japanese Rabbit, Harlequins were first exhibited in France in the 1880s. The breed was renamed during the world wars and are best known for their distinctive coat pattern. They're a curious and playful breed and make excellent family pets. Appearance: Four distinct coat colorings: chocolate, blue, black, and broken. Short, rounded bodies with short, straight legs. Personality: Calm and gentle, and fairly unenergetic. Bonds well with humans. Ease of Care: Not too active. Compatibility With Children: Excellent pets for children due to their calm and easily bonding nature. Oddly enough, Havanas got their start in Holland. 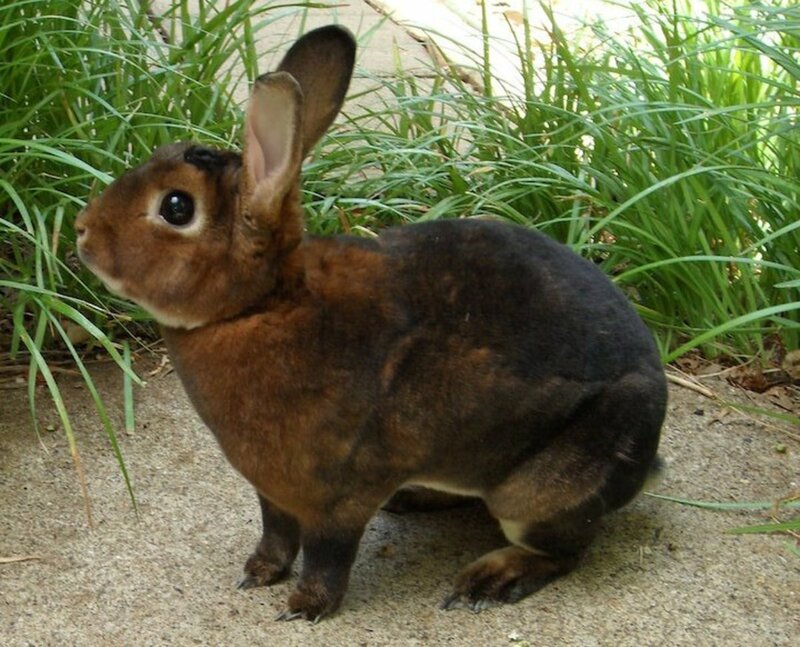 They were named the “Havana” rabbit because they resembles the chocolate color of Cuban cigars. 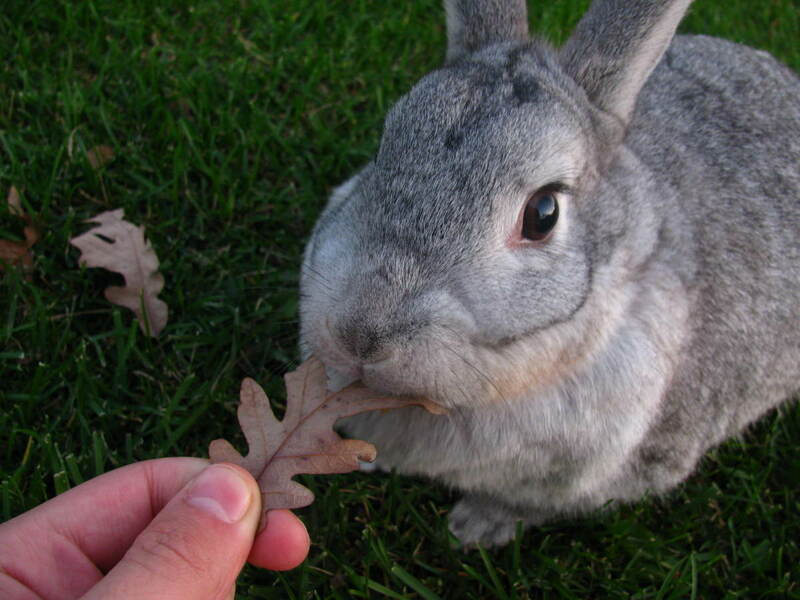 These rabbits easily bond with humans, making them great pets pretty much anyone. Appearance: Erect ears and a plump body. Soft, short to medium length fur. Personality: Incredibly calm and docile. Enjoys being held and pet. Ease of Care: Needs enough room to stretch and play. Compatibility With Children: Excellent breed for children. They are very calm and love being held. Health Concerns: Particularly susceptible to overgrown teeth and ear mites. 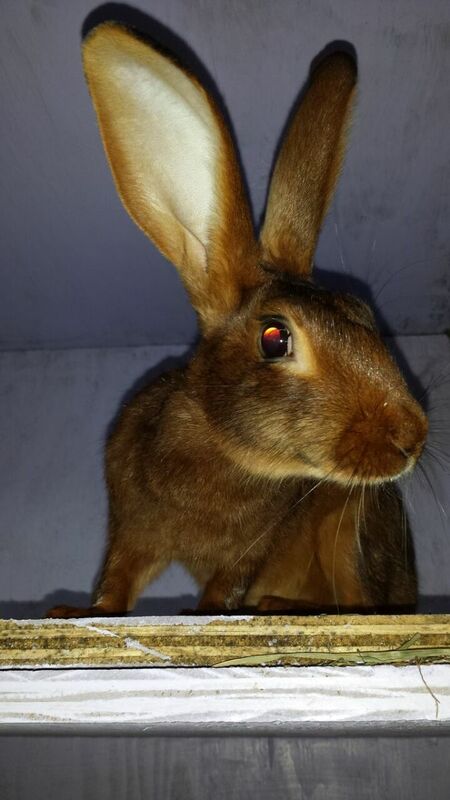 This breed was developed by crossing wild rabbits with Beverens and Himalayans. The unique coat color made the breed a hit, especially in the United States. Its calm nature made it great as a pet breed. Eventually, breeders began to make larger Chinchilla rabbits, which led to the development of the American and Giant Chinchillas. Appearance: Short, white, flyback fur with dark markings on the feet, tail, ears, and an egg-shaped mark on the nose. Personality: Very patient and calm. Ease of Care: Very sensitive to cold as babies. Otherwise easy to care for. Compatibility With Children: Their patient and gentle nature makes them great rabbits for kids. The Himalayan rabbit is one of the oldest rabbit breeds in existence—to the point that much of its origins are unknown. What is known is that Himalayan rabbits made their first appearance in America around the early 1900s. Very patient and calm, they instantly became a popular pet breed. Which Rabbit Breed Is Best for Me? If you're looking for child-friendly rabbit breeds, there are specific traits you want that rabbit to have. In addition to friendliness, you want a rabbit that is content with being held, petted, and played with at any time. Shy or skittish breeds that tend to squirm or bite touched or held should be avoided if you have children in the house. Not all rabbit care is created equal. Some rabbits need frequent, thorough grooming. Others need to be let out to run more often. Still others have strict dietary restrictions, or simply need a lot of human interaction. However, the following breeds are more or less fine with being left to themselves and being able to roam around occasionally. If you live in an apartment, a small home, or you don't have access to a yard, consider these breeds that are perfectly happy living in cages and occasionally being let out to run around. Rabbit breeds perfect for the indoors are generally the smaller varieties either because they're hard to contain outdoors or because they're particularly vulnerable in outdoor environments. Some rabbits do best in outdoor environments and respond better to a home that is similar to their habitat in the wild. This gives them more space, more freedom, and many times, takes the burden off of you to remember to let them out for exercise. Wow ! Such an amazing article. Now, I really want to pet one. Excellent article about rabbits! We already have 7 guinea pigs, and for some unknown reason, I felt my heart tugged by a little Dutch rabbit in the pet store when I was getting food for the guinea pigs. He came home with me the next day, after showing his picture to my husband, AND wondering if I was losing my mind a bit. I most definitely did NOT need something else to care for, much less another cage to clean! It ended up being a great idea - our little Buster is loving and gentle and inquisitive and playful. My husband just adores him, and Buster continually licks him to display his reciprocating affection. Glad you wrote this, and glad we got our Dutch rabbit, too!